Albany fisherman Brendan Hilder caught a 4-metre tiger shark with a hand line fishing off the beach yesterday morning, reported the Albany Advertiser. Mr Hilder told the Albany Advertiser the big catch was a highlight of his time fishing, but it left him “absolutely knackered”. …and of the shark flopping around in the shallows. 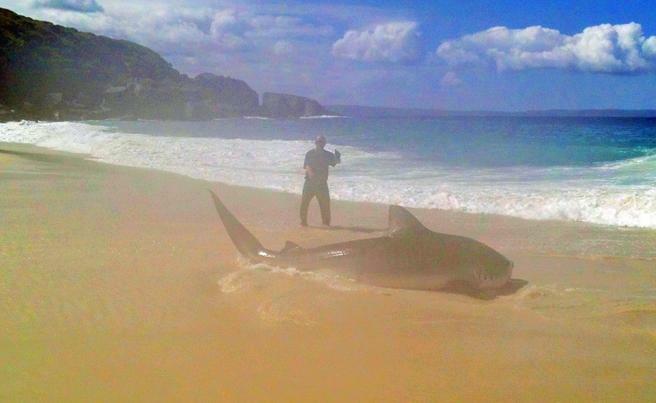 After photographs were taken, the shark was released back into the ocean.